Join us at the house every First Friday! • Drum shed at the Music School. All instruments levels and styles welcome. 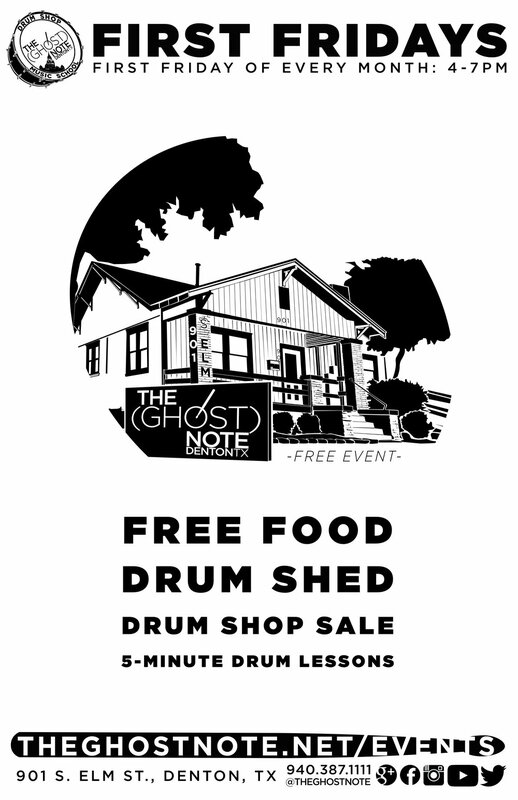 • Drum Shop SALE: Make is an offer! Deals on select items in store.